Performance Lab Vision is the latest and greatest eye health formula that is designed not just for eye health – but for competitive vision enhancement. This Performance Lab Vision review discusses why it is the most exciting next-generation vision supplement on the market today. Suggested Use: Take 1-2 capsules with your first meal of the day. For best results use daily and consistently. Noticeable eyesight improvements that can sharpen your competitive edge. Vision supplements can do way more than what most products offer. It may be because vision is often taken for granted until it starts to go bad. Usually that occurs later in life, so most formulas are designed for adults over age 55. Performance Lab Vision is different. This new eye formula boosts more vision-related biological pathways than any other eye supplement, with a focus on eyesight functions that help you perform better at sports, games, video games and esports, hobbies, etc. Let’s take a look at Performance Lab Vision’s lineup and detail the many ways in which it may improve your eyesight. 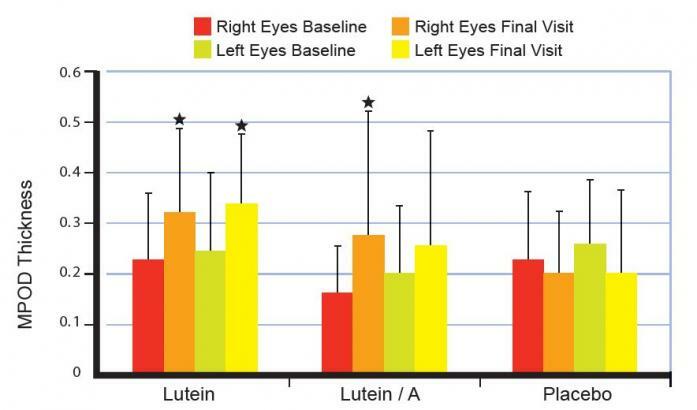 Performance Lab Vision starts with two of the most evidence-backed nutrients for optimizing eyesight function: Lutein and zeaxanthin. These potent carotenoid antioxidants naturally migrate to the eyes and concentrate in the macula: Part of the retina that enables sharp central vision. Here, they form macular pigment and deliver macula-targeted antioxidant activity. Performance Lab Vision uses high-quality FloraGLO® Lutein and Zeaxanthin: Made from non-GMO marigold flowers, the #1 top doctor-recommended brand of backed by over 80 clinical trials. In addition, anthocyanin antioxidants found in currants are suggested to protect the eyes, helping to keep them healthy over time. Bilberry supplies a complex of over a dozen anthocyanoside plant pigment antioxidants. Bilberry also supplies a little C3G. Most of all, however, bilberries are associated with blood flow to the eyes. Research suggests that their active antioxidants nourish the tiny, fragile eye capillaries – helping to keep them flexible and healthy. This bright yellow spice is a goldmine of eye-protective antioxidants that are good for the macula and long-range eye health. Two of saffron’s compounds in particular — safranal and crocin — have been identified as the active antioxidants ingredients that work by optimizing the macula and improving ocular circulation. In addition to being great for overall eye health, saffron’s antioxidants have been shown in research to improve retinal flicker sensitivity, a function that underlies motion detection and the ability to clearly see fine detail. Astaxanthin is yet another pigment antioxidant that is good for eye health. But it’s not dark purple like bilberries and black currant; nor is it bright yellow like lutein, zeaxanthin, and saffron – no, astaxanthin is a shade of reddish-pink. Regarded as an extremely potent antioxidant compound that can help overall health and many different ways, astaxanthin is noted for eye health because it helps to boost blood flow to the retina – efficiently delivering its own protective antioxidant, energizing oxygen, and all other healthy nutrients in the Performance Lab Vision formula. In terms of eyesight performance, astaxanthin has been suggested in research to help alleviate symptoms of eye fatigue, instead promoting the energized, active eyes to perform better in competition. Contact lenses, glasses, and Lasix surgery can correct vision that is bad. Traditional eye health supplements can help maintain vision that is good. Performance Lab Vision can make vision better. There is an evolutionary feel to Performance Lab Vision, like it is the next logical step in the progression of eye health formulas. Sure, it will nourish and protect the macula just like standard eye health supplements do. In this Performance Lab Vision review, we see an eye supplement that goes way beyond the macula. In fact, it goes beyond the boundaries of typical vision supplements. Performance Lab Vision seems to be formulated to leverage every possible biological pathway that it can to help improve many different eye functions. This precise tuning of the functions that underlie healthy vision combine to promote superior eyesight performance: Sharp, clear, energized and active eyes. Performance Lab Vision turns everyday eyesight into a secret weapon for winning. Performance Lab Visions diverse complex of pigments antioxidants, ranging from red to gold to purple, provide broad spectrum macular health support that is the foundation benefit of the whole formula. Performance Lab Vision is an overall eye health enhancer. It can be taken by anyone, including adults over age 55 who want to protect their eyes against the ravages of aging. But really, Performance Lab Vision is going to be most appealing to competitive athletes, gamers, and workers. That’s because this formulation is so skillfully formulated in improving so many aspects of visual function, it may serve as a safe and legal performance enhancer – giving users a significant advantage in an underrated cents that often means the difference between winning and losing. Performance Lab Vision is a high quality supplement. It is clean, vegan, and well formulated – using ingredients that are safe, natural, and extremely well tolerated. Were talking bilberries and currents, spices, algae and marigold derived antioxidants. No concerns for side effects here. Competitive vision emphasis. Enhances eyesight functions that are critical for success in sports and gaming, but rarely targeted and vision supplements. Innovative formulation. Leverages the power of multipath way eyesight support and ingredients synergy to boosts more eyesight functions than any other vision supplement. Long-range vision benefits. Uses eyesight enhancers that also support eyes structures and functions in many ways, for a surprisingly comprehensive long-range eye health formula. Clean label. No weird artificial fillers or colors, just vision enhancers. Supplied in premium, 100% vegan, prebiotic-infused PlantCaps capsules. Friendly to customers. Performance Lab offers an empty bottle moneyback guarantee on all of its products, including Performance Lab Vision. Limited availability. This vision supplement is only available on the Performance Lab website, so you won’t see it on sale on Amazon or at GNC. 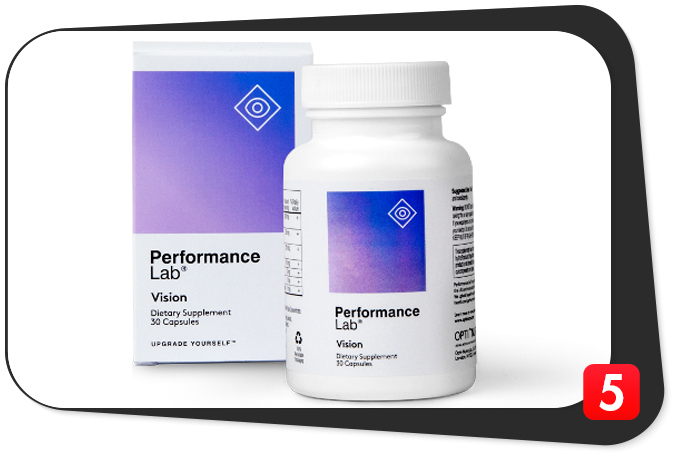 Performance Lab Vision is a big advancement for vision supplements. Due to its “competitive vision” formula design and top-shelf, research-backed eye nutrients, Performance Lab Vision gives you a secret competitive advantage over any opponent in virtually any sport, game or video game. As a bonus, it achieves these eyesight benefits and a natural and beneficial way, helping to improve long-range eye health just as it enhances eyesight performance. For these reasons and more, Performance Lab Vision is the best eye supplement on the market today. Sirs: After reading this in-depth study on your product, I’ve come to the conclusion that it is designed on;u for those, like you said, are in sports or are gamers. Mention was made about persons over 55 may also use it. I really don’t know any in that age group who are involved in those activities. I am 75 and was diagnosed a month ago with Macular Degeneration. I use my computer quite a bit, but certainly am no sports figure. I do play a couple of games on my cell phone, but that’s it. I believe eye-sight acuity should belong to all whether they’re in sports, are ‘gamers’, or simply want to thread a needle or read a good book. Your product sounds really good, I just wish it was designed for my own situation.